Hi folks! I´ve been teaching for some time now and I love what I do. I like to create my own stuff but sometimes there´s little or no time. So when I do have the time to create something new, I like to share with the rest of my colleagues - wherever they may be. Hope they´re useful. 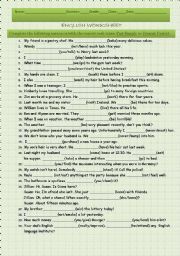 I gave this worksheet to my students for them to practice the Present Perfect Simple and Present Perfect Continuous verb tenses. I hope you find it useful. Hi folks. 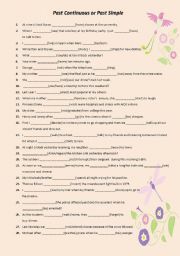 Just finished this worksheet for my eight graders. It´s for them to practise the future tense with will and going to. Hope it´s useful. Hi folks! Long time no send worksheets. Well here´s a new one for you. 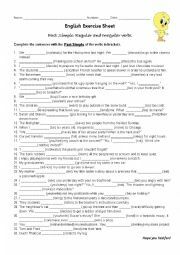 It´s for your students to practise the Past Simple of regular and irregular verbs. Hope it´s useful. 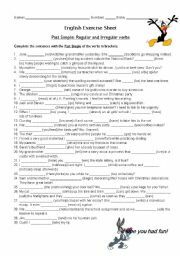 Here are some sentences which have to be completed with the past simple form of the irregular verbs in brackets. 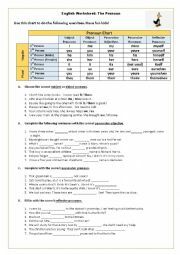 This worksheet is for students to choose between the Past Simple verb form and the Present Perfect verb form.I hope it´s worth your while and the students´ also. Have fun! Hi fellow colleagues. 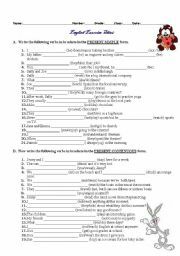 This worksheet was given to my eight graders to train the present simple form of verbs. Hope this is useful. 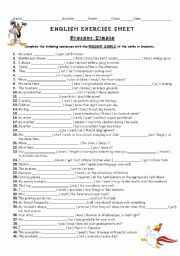 Here´s a worksheet I made for my seventh graders to practice the pronouns: subject and object forms; the possessive adjectives; possessive and reflexive pronouns. Hope it´s useful! 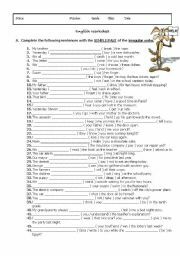 Present Simple and Present Continuous exercises. Hope it´s useful. 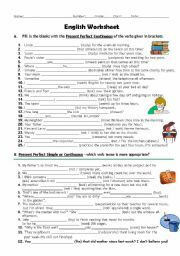 It´s a simple worksheet where the students have to choose between the two tenses: Past Simple or Past Continuous. Hope it´s useful and fun. 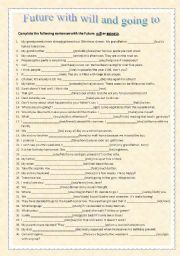 A worksheet for students to train their knowledge of the Past Sinmple verb tense.